On Sept. 12, Van Allen Probes spacecraft A became the first APL-built spacecraft to be tested on the Lab's new spin table. It underwent both a spin balance and mass properties test, two procedures that are done in concert, and in order, as they are intimately linked. Every second, a million tons of energized matter blasts off from the surface of Sun. Where does this "solar wind" go? 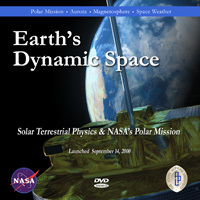 Follow the speedy voyage of some protons, electrons and ions as they make a magnetic connection with Earth – becoming trapped in the Van Allen radiation belts that surround our planet. As they bounce, drift and spiral through the belts, some particles will shoot down Earth's long magnetic tail, while others spin back to the upper reaches of the magnetic field and spark the auroras – the amazing celestial light show we know as the northern (or southern) lights. Earth can be a crazy, magnetic place – watch this video to see how! NASA EDGE, an award-winning talk show known for offbeat, funny and informative behind-the-scene stories about the space agency, features Van Allen Probes Deputy Project Scientist, Dr. Nicola "Nicky" Fox explaining magnetic storms and their effect on Earth. We all live in the atmosphere of the sun and feel the effects of solar variability every day. Earth's near-space environment is a dynamic region that is directly affected by solar variation. There is more than meets the eye when looking into Earth's dynamic space. View this video to learn more about space weather, the magnetosphere the aurora and the Polar mission and spacecraft. Why is this mission important to the average person? Why study the radiation belts now? How do the radiation belts differ? What is the ring current? 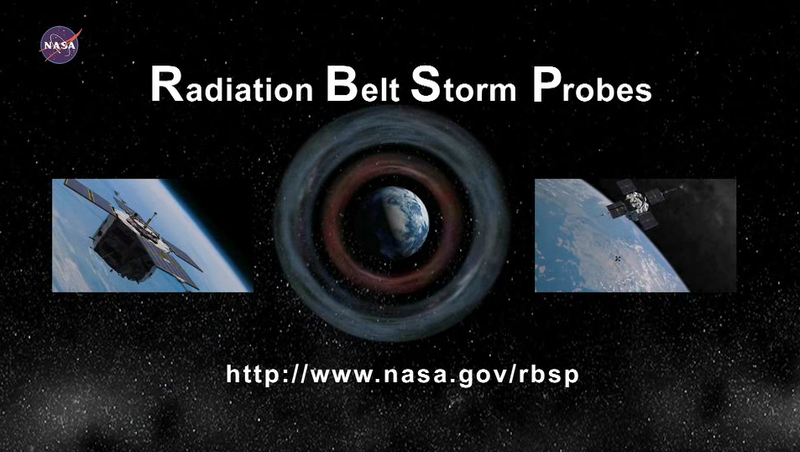 What will the Radiation Belt Storm Probes study? Why do we need two spacecraft? What are the challenges of building two identical spacecraft at the same time? What types of instruments will the probes carry and what will they measure? How is RBSP different from other missions? What will the spacecrafts' orbits look like? How is an object placed into orbit? How will students play a unique role on the RBSP mission? What is challenging about designing spacecraft for this mission? What is a unique operational challenge for this mission? How will you test the spacecraft to prepare them for launch and harsh space conditions? What excites you about this mission? Why do you enjoy working on space missions? Mission Operations Manager R. Harvey describes his experience working in mission operations. What advice would you give students wanting a career in space? Where will you be on launch day, and what will you be doing? How are RBSP's scientific instruments controlled? How does RBSP communicate with Earth? How does RBSP transfer its scientific data down to Earth? How would you describe the RBSP team? What happens to the RBSP spacecraft after they are launched? Why does RBSP need two years to complete its mission? How will you feel after the RBSP spacecraft are launched? What are the final steps the RBSP team takes in preparing the spacecraft for launch? What is your job on the RBSP mission? When did you know you wanted to work on space missions? What advice would you give to someone who wants to work in the space industry? How can sound hurt a spacecraft? Why do we test spacecraft by blasting it with sound? How loud is the acoustic test? What's exciting about this test? How does the test compare with the sound of the actual launch? This is a direct field test. Can you explain the different types of tests? How will this test minimize cost and risk to the spacecraft? What does it mean to 'shake and bake' a spacecraft? 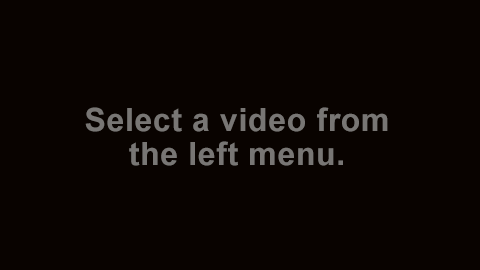 Why is this test special for APL? How do you measure the vibration caused by sound? How and why did you conduct this test before the actual probes were built? What does it take to pull off a successful test? What exactly is radiation? Why is it dangerous for spacecraft? What are the challenges when building a spacecraft that will operate in such an extreme environment? How do you prepare? Why do we need two spacecraft to make measurements in the Van Allen Belts? What does your instrument EMFISIS measure? Why do we want to measure the waves in the Radiation Belts? How can people on Earth be directly affected by space weather? Is there a relationship between the sun's 11 year cycle and the events in the Van Allen Belts? Tell us about one of the mysteries that RBSP is trying to solve. What does it mean when scientists say we'd like to understand the Radiation Belts 'to the point of predictability'? What are some of the big mysteries that the Radiation Belts hold? How were the Earth's Radiation Belts discovered? You knew James Van Allen. What was he like? What do you think were his greatest contributions? What's the most fun thing about your job? What advice would you give to someone that would like to do what you do? What do you do on this mission? Why was the name 'ECT' chosen for the instrument suite? What is an instrument suite? Why does ECT need multiple instruments with the suite? What instruments are included in the ECT suite? How will the instruments on the twin spacecrafts work together to 'see' the particles in the Van Allen Belts? What will the data that ECT collects tell us? Why is it important to know about the particles themselves and the waves that cause them to move around? What is the history of exploration in this region and how does RBSP build on that history? How does the ability to predict space weather compare to the ability to predict weather here on Earth? What's the most exciting part of this mission for you? Why should the average person care about space weather? Why is it important to have a greater understanding of sunspots? Why is it important to build a model in order to be able to predict space weather? You knew James Van Allen personally, what was he like? What will the instruments onboard the Radiation Belt Storm Probes measure? What is something special and unique about the EFI instrument? The EFI instrument will measure electric fields. What is an electric field and why are we studying them? What is it like in the region of space where these electric fields exist? Why is this mission exciting? Why is it important to understand the processes of the Radiation Belts? How can learning about the processes inside the Earth's magnetic field help our understanding of our universe? What are some engineering challenges you face when building for such an extreme environment? Tell us about your instrument, what will it measure? Where will most of the RPS measurements be made? What's exciting about studying the inner radiation belt? How will the discoveries we make be important tools for future exploration? What makes RPS such a unique and special instrument? You mentioned the protons in the inner belt are 100s of years old. How do you know?